Today, in the Guardian, former CIA analyst John Kiriakou accuses the Obama Administration of abusing the 1917 Espionage Act, claiming that “only 10 people in American history have been charged with espionage for leaking classified information, seven of them under Barack Obama”. From Day One, the Obama Administration sought to plug any leaks. What’s said in the Oval Office stays in the Oval Office. That’s context for understanding the aggressive approach to whistleblowers. It’s philosophical. The current White House sees leaks as betrayals, so why not view whistleblowing as treason? Just ask Washington journalists about access under Obama compared to past presidents. Look at the tepid news coverage about government, as sign. I’ve long suspected, but can’t confirm, a culture of fear among Washington news bureaus, that they’ll be cut off if overly aggressive, investigated or prosecuted. Presidents and attorneys general of both parties have been reluctant to use the Espionage Act when secret information has been leaked to the press because they have recognized that it is overbroad. They have understood, as [Daniel Patrick] Moynihan argues in Secrecy, that government classifies far too many things as secrets, even as it has often failed to protect information that truly needs to stay secret. Barack Obama and his Justice Department seem to be of a different mind. They have used the Espionage Act of 1917 six times to bring cases against government officials for leaks to the media — twice as many as all their predecessors combined. Context for Barone’s commentary: “The Justice Department’s snooping into the phone records of multiple Associated Press reporters and Fox News’s James Rosen”. Yesterday, the Washington Post announced its sale to Amazon CEO Jeff Bezos for $250 million. Some advice to the new owner: Put in editors and reporters who will investigate and report with vigor. The U.S. government is paralyzed; just look at the House of Representatives and Senate, which seemingly can’t agree on anything. Where are the investigative reports that expose corruption and hold every elected or appointed official accountable? The Fourth Estate has failed its public trust. Should I pay the Guardian around $18 per month for real news reporting about Washington, rather than get the Washington Post? That’s the scenario I see. Mr. Bezos, give people something they can’t help reading, by making real reporting top priority no matter the risk. Is that too much for an American to ask? I applaud your short commentary. Those 19 heinous truly evil, criminals, succeeded, on 9/11, far beyond their wildest imaginations, and even now, must not be able to concentrate on their ’40 virgins’ because they are laughing and applauding so boisterously. Why?? Because their ‘message’; (U.S. to get(militarily and politically) out of the Middle East, & cease the arrogant schoolyard-bully stance of “I’m-big-&-strong-&-can-do-anything-I-want,-anywhere-I-want”) was not heeded, and consequently, they succeeded far, far, far beyond their most fantastic fantasies. And all, over a terrorist act(but NOT the reaction), that could have easily been planned over a couple of weekends and some coffee. Imagine, if a prescient fly on their wall, could have told them, that as a result of their terrorist acts protesting US actions, they would be able to succeed(with the willing help of millions of American “fellow-travelers”, to: (a) Cause Americans to give up, or at least hold in abeyance, significant portions of their Bill of Rights and Constitution. (b) Bring down the US economically. (c) Turn the US political system into turmoil, and polarize many elements of society. (d) Cause us to spend outlandish amounts of non-redeemable $$$ for military purposes to no valuable end(except to the military-industrial-comlex that Ike warned us about!! ), and consequently, be forced to neglect much of the spending that the Constitution requires (i.e, on the welfare of its citizens)). (e) Turn many average Americans into puppets, that seemingly quake with fear about almost any untoward event. (f) Lose much of our free press to a US government “yes-man” puppet status. (g) Build up an absolutely GIGANTIC yet impotent security establishment, that would permeate American society, and cause Americans to begin to mistrust and dislike their own government. (h) Turn the United States of America into an politically and internationally impotent tiger(with no clothes,BTW). (i) And, oh yes, BTW, destroy two office buildings, cause a city that thrives on fear to become even more fearful, and kill about the same number of people that die in about one month on America’s highways. [Who knew(certainly not those 19 !!) that for the happenstance of heavy fuel loads, and building construction, of the actual physical results?]. (j) Many other dire consequences for America, too lengthy to mention. Truly, they would NEVER have believed that fly-prophet.!!!!!!!!!!! HOWEVER, instead, as a result, we, the citizens and governors of this PROUD (too???) country, willingly gave up many our freedoms, privacies, and the security of our Bill of Rights, all in the supposed ‘name’ of National Security, and, in the twinkling of an eye, (yet extended year after year-how nice to be “politically correct”!! 😉 – granted dictatorial, secret, gross powers, to those who are supposed to defend our rights. “PATRIOT” Act??? Really, come now! We should all know that when those words are bandied about as a ‘justification’, great troubles portend. These are the same powers that the Nazis, Russian/Chinese/Cambodian/Vietnamese- Communists, Facists, and 3rd world dictators, etc, have used for years, ALL, in the name of (you guessed it) National [“State”] Security. (Vere are your papersss?????) These things are what WE [used to?] trumpet as what was evil about those regimes, and [the lack of these things], as wonderful about ours. Let’s see; indiscriminate phone tapping and records keeping, arrest without warrant, secret court authorizations and rulings, hidden cameras, murder from the skies, guilt by mere association, detention without charge, torture(still!!! ), illegal rendition(violent & otherwise), sanctioned (or at least allowed) civilian murder, violations of habeas corpus, secret trials……. the list goes on and on, to our despair and detriment. And the sacred cow, “National Security”, is seemingly untouchable, and permeates all of our lives– financially(trillions), politically, morally, etc. How many citizen soldiers, and countless civilians have given up their lives, property, sanity, and freedoms, in the fruitless and vain pursuit, to “avenge” 9/11?? We, truly, have lost and given up, far, far more than we have gained. Benjamin Franklin said that those who give up their freedom for [supposed] security, deserve neither freedom nor security– how right he was. We are truly reaping what we have sown. We are no more secure than before 9/11, despite all the ‘window dressing’, ‘elephant repellant’, and [literally unknown] trillions spent. Think of all the potential terrorists we may have created, with our hate-mongering, [admittedly-attempted “pinpoint”] bombings, raids, torturing, etc, as well as all the innocent “collateral” damage inflicted as a result of the wars which WE (the [formerly] ‘peace-loving’ USA) have started. Pray, that their “self-righteous” anger does not approach the level of ours. Because, of course, though the establishment is loathe to admit it, we as a nation are truly powerless to prevent it. Think of the British and Irish issues that lasted for at least 75 years, or the Tamil Tigers in Sri Lanka, as examples. That was ONLY solved by; maybe, by free and open dialogue with the ‘terrorists’, maybe even some apologies for the wrongs that we have committed in the name of ‘righteousness’. Then the light of peace and hope can return. Some of us live in the darkness of fear rather than the light of hope and freedom, we are spied upon( indirectly or not), our financial status is in ruins, we are neither liked nor respected internationally, our status as the most powerful nation on earth has become a joke(see the above 19 criminals!!! ), and we have let the things that DID make us great; universal education, health care, lack of poverty, freedom from hunger, full employment, “real” foreign aid (not military), culture, a working political system, to name just a few, fall to the wayside, in favor of an obscenely large military-industrial-governmental incestuous relationship, and the God of “National Security”, and corporate(national and international) greed. All false gods. As you point out, the heroes against false secrecy; Ellsberg, Snowden, Manning, the Guardian, and, in times past, the NYT, to name the more notable few of the few, are excoriated as traitors, because they have tried to shine a light upon the darkness of unwarranted secrecy, Well, you three guys, and [potentially]many others who are, hopefully, just a stone’s throw from adding to their truly courageous actions, are MY heroes. THANK YOU !! Further, the atmosphere of exaggerated retaliation, and heavy-handed enforcement (reminiscent of the “atom-spy” days), shows how insecure and ‘Nixonian/McCarthyist” we remain. Are we so impotent and frightened, as a nation, that a few “rag-heads”(sorry!! !, truly, no insult intended),, with a few purloined e-mails, or whatever makes us quake in our boots, close our embassies, and elevate the ‘threat-level’ from (is it stiiiiiiiill amber, BTW??) to whatever?? And, curiously, this all occurs, within a few days of the breaking of the ‘scandal’ of the [thankfully leaked] documents referring to the illegal use and operation of phone tappings and e-mails. Hmmmmmm. And, as others have pointed out, I repeat the the [so-far] released ‘secrets’ have most certainly NOT damaged our national security in any way shape or form. As an example, Pvt. Manning did NOT release any info about secret radars, satellites, or things of that nature. At least we haven’t been told that: Let’s see, we can’t be told what he publicly released, because those things are secret, yet the fact that he publicly released them, means they aren’t secret, they’re now public, but they are still secret, and not public!!! Oh, I’m still SOOoooooo confused!!!!!! He in fact DID respect true national security; no atom-bomb secrets to David Greenglass, and those evil, God-hating, Commies !!!!! (And that was when, (supposedly[let’s not even go there!!]) we had REAL enemies!!!! Remember, those who guard our secrets, are NOT those who should be qualified to define what should be secret. And, really, why does the ‘most powerful nation’, need to have the most and darkest secrets? Something is wrong with that equation, and I applaud those who are trying to bring light to dispel darkness. And, (sorry to be so long getting to the point), who is(has been??) the watch-dog against these things? A fearless, free, and truly independent national and international press. It is the sacred duty of the press( and, unfortunately, the stockholders of same), to courageously ferret out and print, and inform, stir the pot, etc….. to rouse us from our national slumber of: apathy, “Survivor”, America’s Idol, ad infinitum. Perhaps something on the order of – Make the comfortable ones UN-comfortable, and, make the UN-comfortable ones, comfortable. No, not just the message of liberals, or right-wingers. Rather, the message and lessons of history, of how current events came to pass, and front page detailed news concerning our freedoms, rather than hidden in the back sections, overshadowed by A-Rod, or Lohan, or political football. Thank heavens for the Internet!! !., with its ability to instantly inform a huge populace. 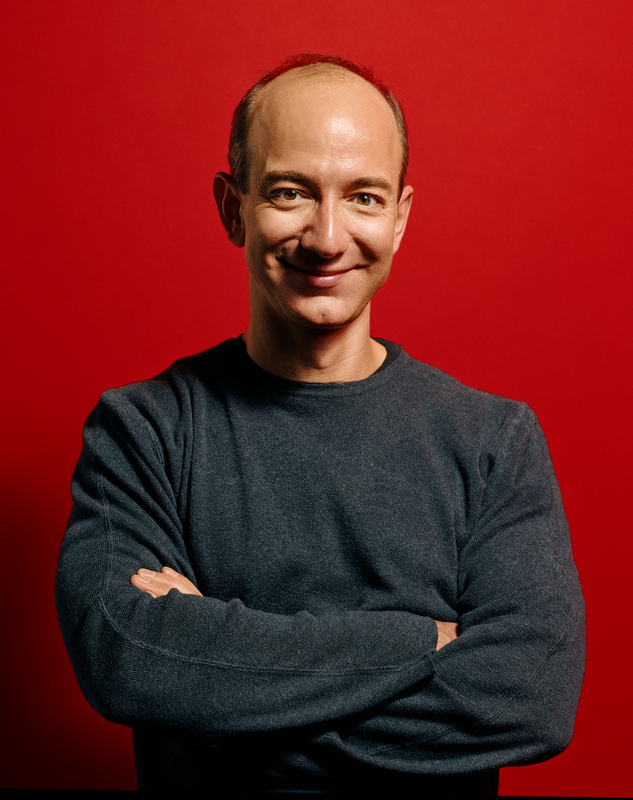 Thank you Mr. Bezos, for hopefully, beginning a strong, long and vigorous marriage of the mainstream press and the Internet, and the involving of the national citizenry in these efforts. And thank you, Graham family, for such a marvelous history of the American Press, at its very best(along with many other shining examples). And, thank you Joe, for your voice. I love America. I love the world, with all our faults.. it is truly worth saving and improving. Thank you for your indulgence.